From using silver to heal wounds to a plaster that goes fluorescent when your wound gets infected – the future of wound care is here! Ground-breaking medical technology and techniques are changing the way we treat wounds at home and are ensuring faster wound healing with less complications. If you experience an allergic reaction to plasters, you could be allergic to the glue, colophony, which causes contact dermatitis explains Health24’s allergy expert Dr Adrian Morris. Colophony is used in a variety of common products such as adhesives, cosmetics, lacquers, printing ink and insulators. Allergic contact dermatitis can easily be combatted with hypoallergenic plasters, like Elastoplast’s Antibacterial Fabric plasters which are specifically designed to reduce the risk of an allergic reaction to colophony. The antibacterial activity of silver has long been known and is now used in wound care because its toxicity to human cells is considerably lower than to bacteria, according to a study by the University of Wales College of Cardiff. The main advantages of silver technology are that it reduces the risk of infection and has a broad-spectrum antibacterial effect. You can use an antibacterial silver plaster if you have a wound with a higher risk of infection, according to wound care experts at Elastoplast. An example of wounds like these include an abrasion wound that’s dirty or wounds with specific risk factors such as diabetes. We’ve all experienced that dreaded moment of yanking off a plaster and it’s no wonder it hurts so much. Apparently the removal of a traditional plaster can actually strip epidermal cells and hair, according to a study in the Journal of Wound Care. Silicone plasters have combatted this common struggle by replacing traditional adhesives with extremely soft and gentle silicone. How nice would it be if you could see if your wound was infected without taking off the dressing? Hopefully it won’t be long before we can do this as researchers at the University of Bath, led by Dr Toby Jenkins, have already developed a type of dressing that can alert doctors when a wound becomes infected. The dressing releases a fluorescent dye in small dots when a wound, such as a burn, becomes infected, allowing medics to treat it quickly. The prototype of the dressing is being tested by the university and it is hoped that it will be on the market by 2020, according to Business Insider. If you or your family are prone to get small cuts and scrapes, there are luckily liquid alternatives to the traditional plaster. Plaster spray, in a nutshell, is sprayed-on film that provides instant protection against dirt and bacteria. Spray on plasters, like Elastoplast’s First Aid Spray Plaster, is already available in some countries and used for small wounds, minor cuts and grazes, not for heavily bleeding cuts. In more severe cases it’s better to opt for a traditional plaster and disinfectant, like Elastoplast’s Fabric plasters and Wound Spray, to provide your wound with full coverage and protection. 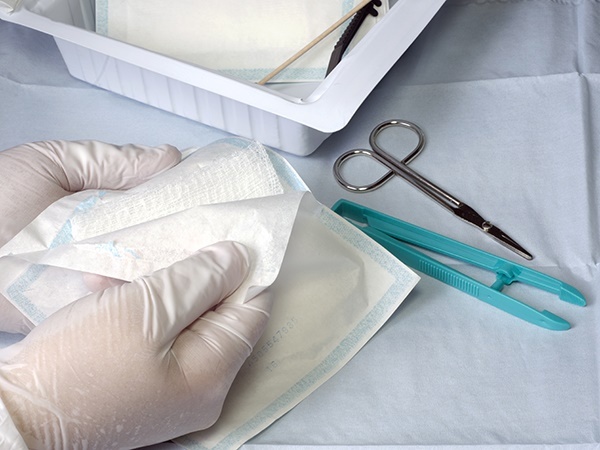 Until these revolutionary wound care methods make their way to your medical cabinet, just remember to clean, protect and heal your wound for faster healing. Elastoplast has a range of products for each of these three steps to ensure your wounds recover quickly with minimal scarring. This post is sponsored by Elastoplast produced by Brandstudio24 for Parent24.